Beautifully remodeled duplex with 2bd/1ba each side in Parkway! 6203 unit was fully remodeled and being kept vacant for convenient showings. 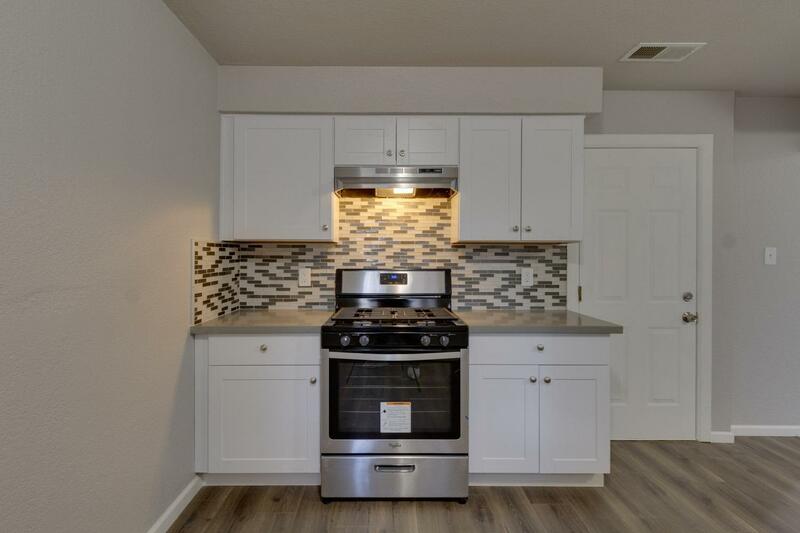 This unit features new white shaker cabinet with modern gray quartz countertop and mosaic backsplash along with all stainless steel appliances. The bathroom has all new modern wall and floor tiles, new bath vanity and fixtures. With new exterior and interior paint, new laminate flooring and recessed lightning, this unit could make a great owner-occupied residence or rented out for a premium rent (estimated market rent $1, 300/month). 6201 unit was partially updated with new paint and laminate flooring and current rented for $1, 100/month. This great duplex is accessible by I-99 & I-5 freeways, less than 10 minutes away from Midtown and Downtown. 6203 unit is vacant with Supra lockbox, please go and show, no for sale sign on property. Section 1 will be cleared prior to close of escrow, FHA/VA buyers are welcomed!